I was surfing the internet in search of a church to visit for my First Time Guest series when I stumbled upon Flames of Fire Church, Pastor Wanda Brown. I first encountered her ministry in the early 1990’s. I never forgot Wanda because she spoke a prophecy to me that God fulfilled. At the conclusion of her message, she asked me and Rod, my husband, to come to the altar. God wanted us to know that changes were coming. We should not be worried or concerned because the changes were from him. I don’t trust every “word from God” spoken to me, but neither do I take them lightly. On the way, out I purchased a copy of the service so could write down what she said and discuss it with my husband. We concluded God might move us to another church or Rod might be finished with Children’s ministry. Dramatic change came to our church. When our much loved pastor resigned, every ministry leader in the church left except Rod. Some people were shaken by the change. We were not. God already told us to expect change. Rod was not finished working with children, but I was. Our new pastor asked me to teach an adult class, which I agreed to do temporarily until they found a replacement teacher. I taught for seven years and wrote enough material for seven books. I visited Flames of Fire thinking I would be a complete stranger. Instead, I encountered more than a few friends including the guest speaker, whose son had attended Rod’s children church. That kind of spoiled the first time guest experience. The article was abandoned to write a profile about Pastor Wanda. Wanda Brown has vivid memories of an emotional experience at her Grandfather’s church. She joined others who flocked to the altar with tears pouring down their faces to cry out for forgiveness. God accepted her plea and baptized her in the Holy Spirit with the evidence of speaking in other tongues. While her grandfather influenced her family in spiritual matters they failed to fully embrace their commitment to God. Her father ran from the call of God on his life. Several years after Wanda’s salvation her family moved to Covington where she had another life changing experience with God. At twelve years of age he called Wanda to preach the gospel. She kept that experience in her heart. If she had any doubts, God dispelled them when the pastor confirmed what she already knew. One Sunday, he called her before the church and announced, “God has called Wanda and separated her to the ministry.” He then had the elders lay hands on her and pray. About the time Wanda received her calling, her father hurt his back. After three surgeries that left them in a financial struggle the doctors delivered bad news. He would be paralyzed from the waist down. In desperation her father cried out to God promising to answer the call of God on his life if God would make him whole. God answered his prayer. Her father walked out of the hospital and pursued ministerial credentials. He worked as a pastor for several years before reneging on his promise. Wanda’s experiences with God were rich but her father’s rebellion made life difficult for her family. Her church compounded the problem by failing to offer assistance in her family’s time of need. She often walked two miles to church alone. No one offered to give her a ride. She heard testimonies about the devil making life miserable as though God were not able to help. A pastor claimed God wanted him to drive an old unreliable car to keep him humble. Wanda concluded she was already living a hard life and did not want to serve a God who either would or could not help her. At a young age Wanda married Leland, a man who loved pool halls with little interest in spiritual things. But she could not escape the memories of God’s presence. She had two small children when she returned to church without her husband. Fearful God would remind her of the calling to ministry, she chose a church that did not believe in the gifts of the Spirit. Wanda could not hide from God’s Spirit. One evening, a friend Leland worked with came to their house to share the gospel. As he spoke to her husband about God, the Holy Spirit tugged at her heart. Shortly after that experience, a man distributed copies of The Cross and the Switchblade by David Wilkerson in her neighborhood. Reading about Wilkerson’s ministry reminded her of her calling to preach. When Leland’s friend invited them to a revival at his church, they accepted. During the revival Wanda renewed her commitment to obey God. Leland also accepted Christ and never set foot in a pool hall again. The revival birthed in Wanda a hunger to pray. Every afternoon she laid her young children down for a nap and went to another room to pray in the Spirit until they awoke. She eventually made friends with a woman who called herself an intercessor. They held prayer meetings two, sometimes three, times a week. During the day they met at Wanda’s and on Friday nights at the intercessors house. The prayer meetings had grown until her house could barely hold the attendees. Wanda felt the nudge of God’s Spirit to teach. With her pastor’s approval she started a Wednesday morning Bible study. Many people were saved and filled with God’s Spirit. Her church also benefited when some of the new converts joined her church. During this season of her life Wanda became aware of a prophetic gift for which there was little teaching in her church. The misunderstood gift resulted in tremendous persecution as Wanda sought to obey God. When she entered full time ministry as an evangelist the prophetic anointing grew stronger. Wanda prayed God would keep her from error and sought him for answers about the misunderstood spiritual gift. She found answers to her questions and confirmation in He Gave Gifts Unto Men by Kenneth Hagin; a scriptural explanation of the apostle, prophet and pastor as God intended them to function in the church. By the late 1980’s Wanda found herself in a dry place. National scandals in her fellowship had tragic effects on her family. The spiritual battles of full time ministry had taken a toll. She stepped back from ministry and for a season attended church sporadically until God led her to join a church in New Orleans. The pastor asked her to conduct a Wednesday morning Bible study. God renewed her ministry and placed a new calling on her life – pastor. The calling came with a warning. If she refused the call her ministry would be complete and he would bring her home. Wanda, now in her 50’s, wasn’t ready to die. The summer of 2004, she reluctantly started a prayer meeting in the home of a friend with four people. Soon people flocked to the meetings. God had already given her the name of the Church, Flames of Fire, which they planted in January 2005. Her small congregation rented a room in a hotel on Airline Highway for $700 a month. She was praying before a Sunday morning service when the Lord told her to run a thirty second commercial on Channel 20 telling people about the church. The commercial raised their monthly expenses to $1000. Miraculously she never missed a payment. August 2005, Hurricane Katrina scattered her congregation and FEMA took over the motel leaving them without a meeting place. The members that returned after the hurricane resumed meeting in a home. Within two weeks they received an offer to rent a suite in a strip mall. Her new monthly expenses with a smaller congregation rose to $1300. Wanda called the station for cost and available time slots. They had an opening on Sunday evening at 5 pm. They also had an opening at 6 am that would have been $200 cheaper. With the 30 minute program in prime time her expenses would be in excess of $2000 monthly. A Fact she pointed out to God, but could not change his mind. To hold the prime spot the station gave them a deadline to be ready with the first program. Wanda needed a little over $10,000 to acquire the necessary equipment. Within days a member of her church received an extra unexpected bonus at her job. She wrote a check for $10,000 and handed it to Wanda. Flames of Fire Church and its television ministry have been in operation for eleven years. 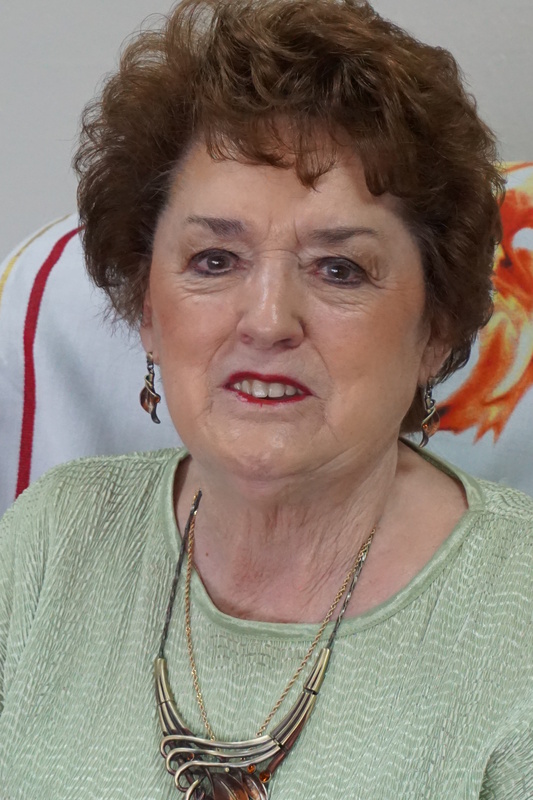 Flames of Fire Broadcast recently expanded its viewership when Alpha and Omega broadcasting kazq32.1 Albuquerque invited Wanda to join its program schedule. “Not one time have I struggled to pay the rent, the expenses of the television ministry or fund anything in ministry. If God has told you to do something, he pays his bills. You’ve got to take a step of faith, and I took a big step of faith,” said Wanda. The heartbeat of her ministry is found in a chorus an African missionary taught her early in her ministry.